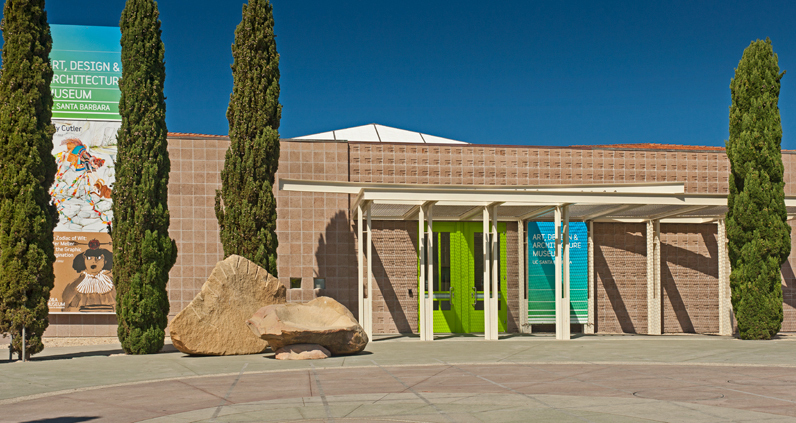 MUSEUM HOURS: Wednesday through Sunday, 12 to 5pm, Thursdays 12 to 8pm. The Museum Print Room is available by appointment. Please contact Susan Lucke, Collections Manager at 805-893-4598. The Architecture and Design Collection is available by appointment only. Please contact Julia Larson, Reference Archivist at adc@museum.ucsb.edu to make an appointment. We are adjacent to the University Center and Storke Plaza/Tower.